Lighthouse condominium home for rent in Gulf Shores AL. 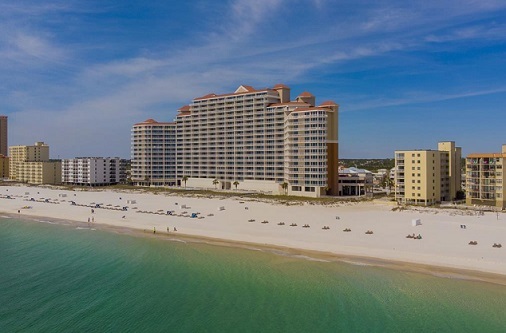 This gorgeous resort home on the 16th floor is the perfect setting for a family beach vacation. The expansive balcony and floor to ceiling glass sliders provide a window to Alabama’s Gulf Coast and the blue green waters of the Gulf of Mexico. Property features include ceramic tile flooring, new paint, light fixtures, updated furniture, kitchen with stainless steel appliances and granite counter-tops. Perfect coastal décor and resort style community amenities make for a great vacation.